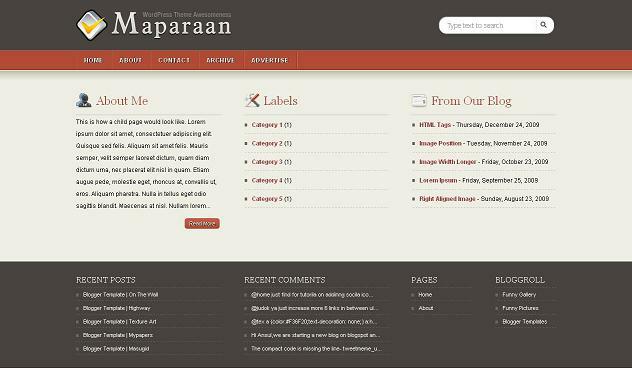 Maparaan is a free premium like blogger template which all you will be going to like for sure.It is magazine style template with many inbuild features and ready widgets inside it.Some of the main features are navigational menu links .Rss widget is ready,twitter and facebook buttons are also build inside it.Main features are slider gallery for your posts and related posts widget installed in it.It also consists of four column footer.Search bar also ready with full blogger functionality.It can be said as both two column and three column template.I have provided you three versions of it.Use any you like. Other free premium blogger templates you would like for sure are Kodzilla and Glory. Just Go To Blogger Layout > Page Elements ,you will see three add a page Element widgets at top below slider.Just add all widgets there which you want to show only on homepage. Just Go To Blogger Layout > Page Elements ,you will see three add a page Element widgets at top below slider.Just hit button of add a Page element,window will open,just select there the widget Named as, Feed.It Will ask for Feed Url.Provide the url as http://your-blog-name.blogspot.com/feeds/posts/default (please change your-blog-name with your blog url) and continue.Then it will show your posts and also select the date option in it if you want to show and then save it.You are done. With download file you will get psd files for site-name,just open it in photoshop and make and edit them to yours name and description and upload it to from header widget in blogger layout > Page Elements. You will see logo before header you can find for below link to change it. Just you will see linklist widget in your blogger Layout > Page elements and just hit edit button of it and add your links you want to add and remember not to give any title to that widget,i.e keep the title blank for linklist widget for proper display. Just replace all red content above as written and also the image link.And keep editing all as below. Just find below profile links in codes and replace wth yours, you will get them twice one for sidebar and one for homepage. I hope you will like this template for sure.If any problems leave the comment below. Thank you very much! I was waiting for this one. Hurray! You are doing a great service to bloggers. By the way with your talent and dedication, you must release some premium (paid) along with free also, to make healthy balance between hobby and work. I like your design…success for you…. Hello. Congratulations for your great work. I simply love yours templates and i'm using one in may blog: http://www.serrp.blogspot.com. I'd like to ask you, if possible, of course, to include in Maparaan template an ad area above slide images and a post area as Matino template. Thanks very much. @mia thanx yup everything is well here. Really help me for cooperate design but there are some error that i dont know how to make it right. like photo slider, even after change all the red line there are still no sliding picture. @admin first when you uplaod my template then the slider is added by default and it should start work immediately with my pictures.If not working after it you making mistake.If its working then you need to chnage links and images with yours. i like this template lol.. but i dont know how to change the color of header,body, footer and all. how to change the color or how to put image insteed of color ??? @arun all u have to do from css.Just find images link in codes and use yours.And these templates are complex so if you know about css then also can edit them. how to use dropmenu down in to top menu??? First of all, thanks for such a great theme! The only problem I have in using this template is the 'Featured slider'. I loved it very much and I am planning to switch my blog. But, the 'featured slider' is capable of displaying only static images/links. Is it possible to have this gadget automatically pull latest posts? Looking forward for the solution. Thanks in advance. @avinash no u have to do manually no automatic solution. Thank you very much for this template!!! I need help my blog http://www.nearmissblog.com the featured slider isn't working please help. @near u r slider is working i chekd. 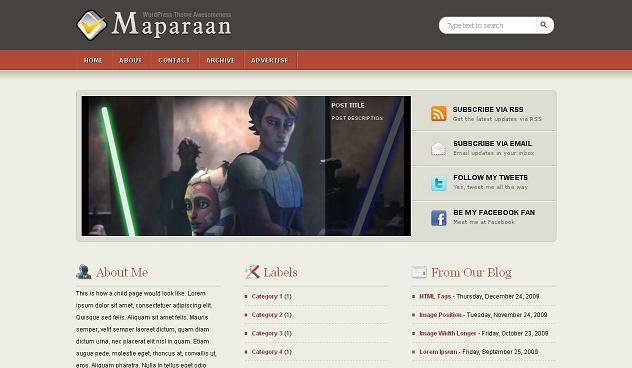 The template is nice and gives us full freedom about the widgets to show on the content page or the home page. I loved this dtyle. there are some aliens codes in the xml like "padd"
I never came across to this kind of code before. I am a novice in html kinda thing but I know how to do this.but I could not find 'post-body entry-content'As we need to place the code after this line. Similarly, placing the adsense code before div class='post-footer' shows the ad after the related posts. but I want the ad to be shown at the end of the post and before related posts.